Dying With Grace. . . Lessons From A Young Woman And Cancer. . .
She has challenged me this morning. 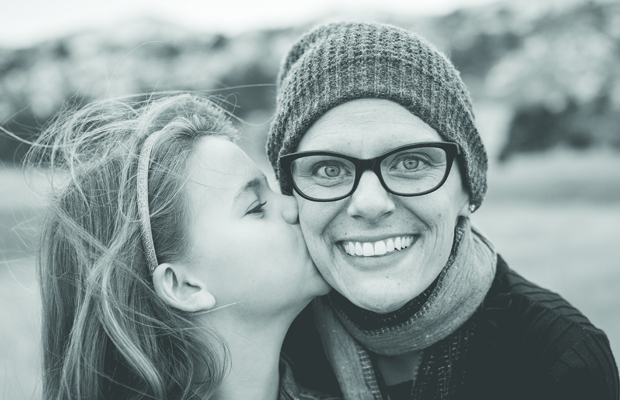 Kara Tippetts is a young pastor’s wife, mother, and woman dealing with breast cancer. I don’t know her personally, but her interview in By Faith magazine has caused me to ponder more deeply the manner in which I invest my time. Kara Tippetts knows that her days are numbered, and because of that, she is conscious of the fact that each second God grants her is a gift to be used wisely. While I live with impending death (we all do), I push it to the side (we all do) unless death’s sentence comes knocking at our doors in very real and tangible ways. I’ve tracked that reality over the last year on social media with a handful of young wives and mothers who are sharing their stories of cancer, sickness, and hope. I’ve been amazed and ministered to by the manner in which they’ve handled their diagnoses and suffering with grace. Kara Tippetts reminded me this morning of something I’ve been telling people for a long time. It has to do with Christian nurture and the intentional quest to feed our souls, fill our wells, and deepen our understanding of God’s plan for us and His world. We never know when we will need to make major withdrawals on our investment. The person who needs to be reminded of this the most is me. So today, I’m grateful once again for the reminder. Note: I found out after posting this that Kara went to be with Christ in March. ← How SCOTUS Isn’t The Big Issue. . . And The Importance Of Words. . .